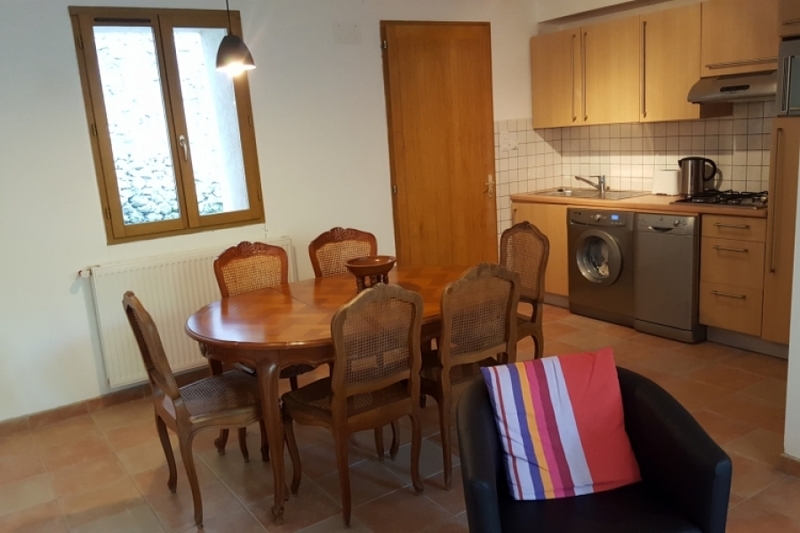 La Farga de Dalt is a converted forge located in the foothills of the Mediterranean Pyrenees on the edge of the village of St Laurent de Cerdans. The main forge was built in 1873 but parts of the property date back to medieval times. The property is stream fronted and accessed via a bridge. The entire site borders are fenced to limit the wanderings of our younger guests. The property is divided into four separate two floor villa/apartments with large kitchen/dining rooms, shower/bathrooms on each floor and two large double bedrooms. All have their own separate entrances and individual terrace areas. All have access to our large outdoor covered terrace with summer kitchen and BBQ. At one end of the property, we have an enclosed pool and play area. Our guests enjoy the 12m pool and can make use of the surrounding grounds to relax and have fun. There is free wifi throughout the property. For those visiting in the cooler months, there are both wood burning stoves and oil fired central heating in all living areas. 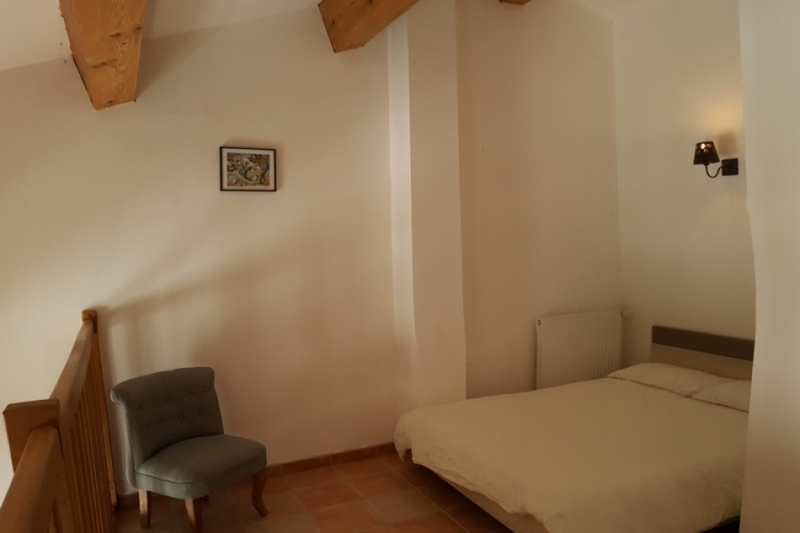 Converted from part of the Forge, El Ter offers spacious accommodation over two floors. Its design ensures privacy while being close to terraces and pool areas. Downstairs comprises a large open plan living area with kitchen, 6 seat dining table, leather sofa bed and arm chairs. The kitchen has a combination oven and microwave, gas hob, fridge/freezer, dish washer and washing machine. In the living area, there is a large LED HD TV with media player and USB connectivity. There is a wood burner in the main living area with a log pile just outside. 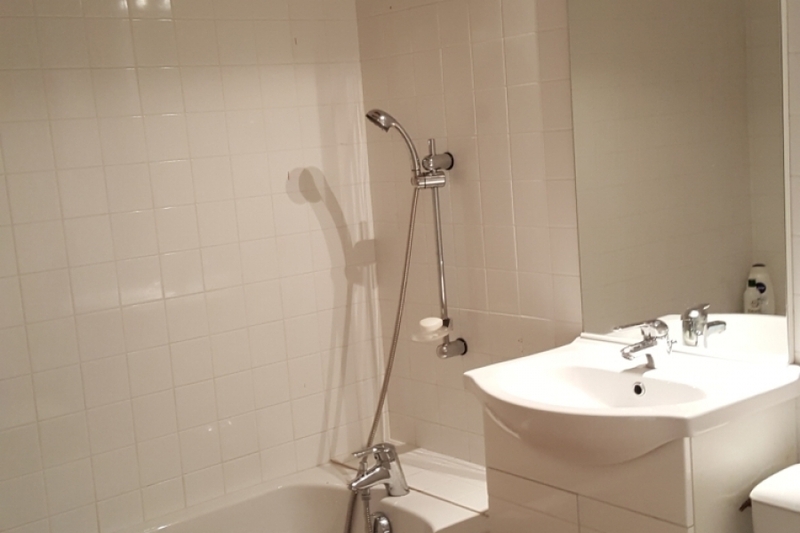 Also on the ground floor is a shower room with toilet and hand basin. The front door gives access to an extensive decked area with picnic table and parasol. This is adjacent to the summer terrace with kitchen and all weather BBQ. The back door opens out onto a private walled terrace with summer furniture. Upstairs there are two large wooden beamed double bedrooms with wardrobes and chairs. 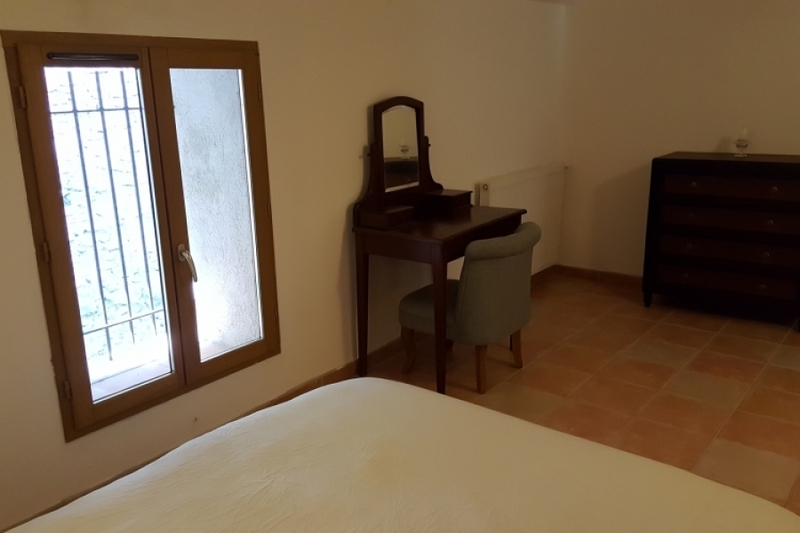 The back bedroom has a built in wardrobe and shelves, curtained with traditional Catalan fabric of the region. The front bedroom is a mezzanine design with free standing wardrobe and armchair. Cots can be supplied on request. There is also a bathroom with shower, hand basin and toilet on this floor. St Laurent de Cerdans is located in the Vallespir, the most southerly and sunny valley in France. The village is a leisurely ten minute stroll from La Farga. It is a picturesque French village with many Catalan features situated in the midst of the Pyrenees Chestnut Forests. It was built on the local timber and weaving industries over the last two centuries. Weaving and Espadrille making can be seen at several artisan craft works and at the world famous Les Toiles du Soleil, where the colourful fabrics and products are also available to buy. The village has all the amenities you require including a number of bars and restaurants with views of the Pyrenees all around. There is also a large outdoor municipal pool open during the summer months, which becomes the meeting place for children on holidays in the area. The Vallespir is dotted with charming French holiday towns and villages. Coustouges, Montferrer, Corsavy, Amelie Le Bains, Prats de Mollo and the beautiful town of Ceret being the highlights. On the Spanish side driving east from La Farga is the Alt Emporda region where there are many equally charming villages, such as Tapis, Macanet de Cabrenys and Darnius tucked away in the riverside forests offering gastronomic options for lunch and dinner using the incredible seasonal ingredients of the region. The contract is for a short-term holiday rental of the property specified on the booking form made between the client and the owners of La Farga de Dalt ("the owners"), Mark and Clare Glass, binding from such time that booking is made and inclusive of all the following conditions. By making a booking the client contracts on behalf of himself/herself and all those in his/her party and represents that he/she has the authority to accept these conditions on behalf of and binding upon all guests in his/her party. • There are countless marked trails throughout this area of the Pyrenees in both France and Spain to match all levels of fitness and ability, including the De La Garrotxa national park. The closest trails are a short walk from La Farga. Overnight camping excursions into the high Pyrenees can be arranged for the more adventurous. The G8 is also easily accessible from La Farga. • The gastronomy of the region is as diverse as its landscapes with both Mediterranean mountain and coastal produce influencing the cuisine of the region. Wine is varied with Cava to the south among the wines of the Spanish Emporda, while the French Roussillon has the most varied palate of wine in France. From sweet Banyuls to the emerging varietals from a new generation of growers working outside the traditional appellation controlee. St Denoeux, Pas-de-Calais, France - Converted Historic Barn Holiday Rental Festina Lente, 4 bedroom. Private garden. Beautifully converted 200 yr old traditional stone barn with 4 bedrooms for 10 guests. Private garden. Games room.